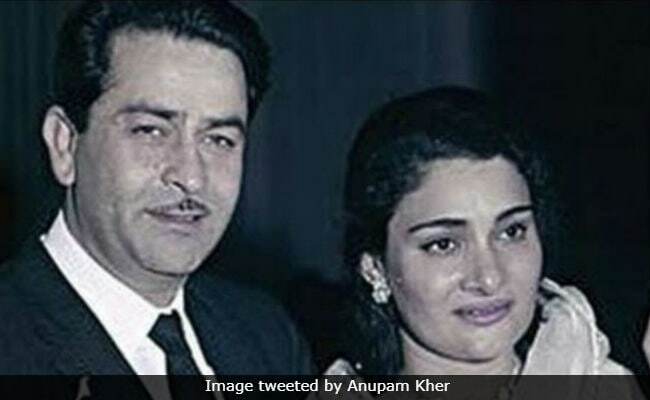 Krishna Raj Kapoor's granddaughter wrote: "I will always love you - RIP dadi"
Late actor Raj Kapoor's wife Krishna Raj Kapoor died on Monday, family members confirmed. She was 87. Speaking to news agency PTI, Krishna Raj Kapoor's eldest son Randhir Kapoor said: "My mother passed away at about 5 am today due to cardiac arrest... old age was another factor. We are deeply saddened by her demise." On Instagram Riddhima Kapoor instagrammed two posts featuring her grandmother and she wrote: "I love you... I will always love you - RIP dadi." Raj Kapoor married Krishna Malhotra in 1946 and they had five children together - actors Randhir Kapoor, Rishi Kapoor and Rajiv Kapoor and daughters Rima Jain and Ritu Nanda. Actors Ranbir Kapoor, Kareena Kapoor and Karisma Kapoor were her grandchildren. Krishna Raj Kapoor's grandchildren Kareena, Karisma, Riddhima and Ranbir Kapoor are also currently in Mumbai. In the last few years, Krishna Raj Kapoor attended the Kapoors' annual Christmas brunch without fail and she regularly attended her children and grandchildren's film screenings - she was last spotted at a special screening of 102 Not Out starring Rishi Kapoor. In addition to her Mumbai diaries, Krishna Raj Kapoor also featured in family vacation albums abroad. Several members of the film fraternity also posted condolence messages for the Kapoor family on social media.